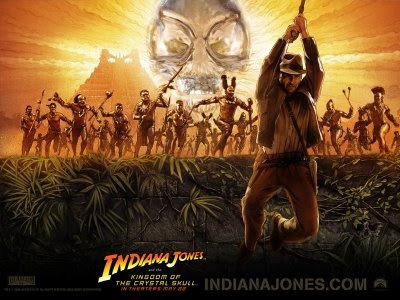 Tutubi had a chance to see Indiana Jones and the Kingdom of the Crystal Skull for free at Greenbelt myCinema a few days ago. The new "fake" archeology film takes you to Peru in the Incan capital of of Cuzco and yet Tutubi was dismayed when the pyramid shown was modeled from Chichen Itza from Mexico, the easily recognizable structure of Mayan civilization, and not of Machu Picchu, the authentic Inca city in Peru. It seems the makers of this film, including the director Steven Spielberg, didn't do their homework right by mixing Incan and Mayan architecture. And how does this post relate to the Philippines? Lastly, did you know that Tutubi met Harrison Ford as Indiana Jones at Madame Tussauds Hong Kong? Peru's Machu Picchu and Mexico's Chichen Itza were both elected to the New 7 Wonders of the World recently. Tutubi would love to go Backpacking in Peru and Mexico too! Cool info! I just saw the movie myself. My Inang had the hugest crush on Harrison Ford!! Cool that you got to meet him! I'd love to go backpacking in so many places. And, of course, it is just a movie, don't expect it to be correct. But the question is, why would they elongate the skulls? I think the movie would like to join the 2012 hype which I discussed here and here.